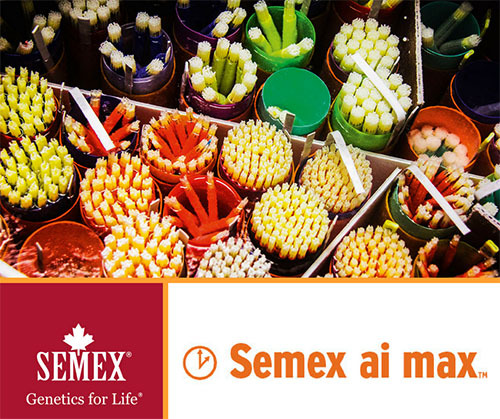 ai max is Semex's cost-effective insemination service for those who don't DIY AI. This solution is currently offered to clients in the South West of England and also Cumbria during regular visits by a highly experienced Semex team. It delivers a full service contract that can cover inseminating selected cows, synchronised heifer groups or an entire herd. Significantly, ai max is growing rapidly as dairymen see the considerable convenience and sensible value of this pacesetting solution. So make ai max your one-stop breeding management solution from the global brand that brings real reassurance.